Discovery Communications’ Science Channel will air six consecutive hours of Uncovering Aliens beginning Wednesday, January 15. One episode of the show premiered on Discovery’s Animal Planet on December 15, 2013. That episode, titled “Black Ops Conspiracy,” will re-air on the Science Channel, along with two other previously unaired episodes. Six million Americans believe they’ve encountered an alien. Four top UFO investigators are now on a mission across America to hunt down the truth: are extra-terrestrials here on Earth, and if so, what do they want from us? 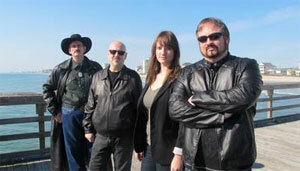 The investigators head to UFO hotspot Sedona, Arizona. They meet a former senator who claims the government is using alien technology, are buzzed by a black ops helicopter, and find evidence of a secret base where the U.S. military analyzes crashed UFOs. Then these episode will immediately repeat at 11:00 p.m., 12:00 a.m., and 1:00 a.m. respectively. All three episodes will be shown again in succession on Friday, January 17 beginning at 3:00 a.m. 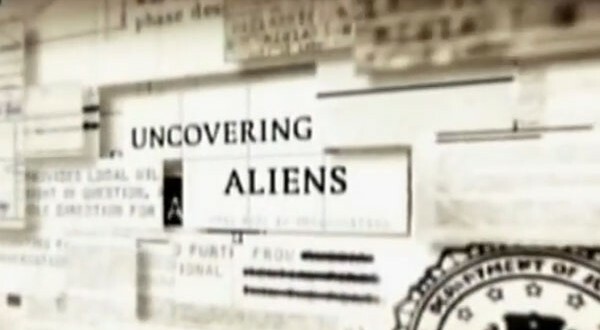 The team of investigators featured on Uncovering Aliens includes Derrel Sims, Steven Jones, Mike Bara, and Open Minds‘ Maureen Elsberry. In watching your show, I am amazed at the level of unprofessional showmanship. In being associated with the US military for parts of three decades and one of those postings at Yuma Proving Ground, I have seen MANY unmarked aircraft. We are at war! Or have you forgotten that? Training exercises for Seals, Delta’s, Rangers, Green Berets, etc through JSOC are common in that area. While at YPG I often saw blackhawks running unmarked with no lights at night. The only way you knew they were there was by sound and the street lights of base housing as they passed by. These was NOT UFO nonsense, but training missions. Sedona and numerous areas of Arizona and Nevada are utilized daily for such. Your sensationalism of what is clearly a potential “black op” training exercise has NOTHING to do with EBE’s but more to do with the Taliban. Get real people! Oh and yes you will be harassed by personnel if you go into a potential hot zone during exercises. Genius, ellis … Stephen Hawking is not exactly a great physical specimen … do you take HIM seriously? Or do you even know who he is??? My husband is a cop where we live and over news years eve he was home standing on the back porch and seen bright orange ball of light up above the tree line and then there was other lights moving slowly. He called me out and pointed and ask what those was. I told him what I thought. It lasted 22 minutes. We went to bed and he said he woke up to a humming noise outside. He got up to look but didn’t see anything. Humming noise was coming from the woods to the left of our house. I would like to know if others have heard this sound before? Does this go with sightings? Or do we jus forget about it ? I do find it amazing that (in most all of these types of shows) that just when things start to get interesting the camera goes somewhere else – as in – how convenient was that?. I couldn’t take anymore of this show watching the episode where they go out to a “Bradshaw Ranch”. What is the hysteria about black helicopters,with no markings? Have any of these kooks bothered to look at a standard US Army blackhawk? The OD paint looks pretty dark – its supoosed to absorb light. And the US Army probably hasn’t put any white or yellow markings on its helicopters since before the vietnam war! Look at a current blackhawk or apache – the freaking letters like “US Army” or the serial number ARE BLACK! Why can’t they get onto the ranch? Maybe some unexploded ordnance maybe. I am done with this BS drama. Its not even entertaining. Its pathetic. as someone who has seen an “alien” orb up close…i find this show…and “unsealed alien files” to be complete crap. i would like a current, weekly show, consisting of actual worldwide video evidence…along with “hosts” that are willing to let the evidence do the talking. youtube is a ruined source. find older tapes from people. I really enjoyed this show. I wonder if some of the criticism against is really being motivated by the fact that its taking a rather negative view of alien abduction and visitation. Sims is the most vocal advocate of aliens as being a threat, but with each episode more of the crew seemed to acknowledge this characterization if their presence. I though the production values and presentation was good and engaging, & I hope they make more episodes. I see people making fun of those who are on the show’s team. Really? The best you can do is make fun of how some one looks? Ya, I bet your professional models yourselves right? Get a life, some common sence, and drop your pathetic simpleton attitude! I also see people here talking about fake science… Well I guess if this is fake science than so is nuclear physics, biology, chemistry, astrophysics, cosmology, paleontology, and paleoclimatology. How quickly people forget how live works and evolves. Stars create element heavier than helium and hydrogen, over time and generations hydrogen and helium becomes carbon, nitrogen, oxygen, iron, and other elements through a precess called nucleosynthesis. Above is an example of what is called the CNO Cycle. Another thing that people love to forget is the FACT that EVERY SINGLE STAR TO HAVE EVER EXISTED DOES THIS!!!! So in other words, all of the chemical elements necessary for live to evole here on Earth is EVERYWHERE through out the ENTIRE Universe, as are other planets and stars. I know that such things are scary for people but facts are facts like it or not! I for one like what they are doing. They are making people think, and run quality investigations and get RESULTS. Results such as the chunk of Aluminum Alloy that was tested and found to be artificially manufactured and not from Earth. How much more blaintant can you be with solid unquestionable evidence? It’s interesting that a real UFO may have been spotted by the entire crew in one of these episodes (not in any of the above episodes listed here). If I can recall, it is in an episode of a man whose family has received several unwanted visitations. The crew arrives at his house and while filming by the pool a strange light darts in and out of the pool. It’s clearly visible, and the man stiffens up as if he’s fearful. You can’t miss it! The crew gasped, you can hear it on the audio. Then the man and the crew are on a beach or shore where an earlier encounter took place. Guess what, another light in the sky appears! Strange episode. These lights are clearly interested in this guy. Yet the cast or crew don’t try to enhance either photograph? They go on with their so called investigation like nothing happened! Your supposed to be investigators! What kind of investigators are these? Is it a trick? Or did this really occur? If so, why not report it to MUFON? If it was faked, it was good. You’ve got all visual effects money can buy. If it wasn’t, well, “UFO HUNTERS” would have jumped all over this footage! I am not sure if this show is fake, but there are many red flags that go in that direction. I certainly do not understand why Mike Bara is even on this show. They must be paying him a lot of money. I have only watched a couple of episodes, but each one has some particular scenes that don’t make much sense. In the episode “Alien Harvesting,” the alleged abductee claims he was confused and experienced lost time. Mike shocks a volunteer lady team member with a high voltage of electricity to prove his theory that the abductee was possibly hit by lightening, causing him to become disoriented and confused; thus explaining the lost time he reported. This is all and good, but I think it was foolish to test this out, shocking this lady with electricity, until they received information back that there actually was the possibility of an electrical storm in that area on the date the supposed abduction occurred. Actually, it is pretty much a given that a shock to the system would cause disorientation and confusion. I really don’t even know why they had to test it in the first place. The gentleman that claimed the abduction experience later states that besides himself, his brother and family have also been plagued with alien abduction for some 30 years. Why he failed to mention this at the onset is rather odd. I can only assume that he perhaps was leery of giving up this information until he gauged the response of the team members on his abduction. Once they seemed open to it, he then felt free to elaborate further on the history of alien abduction in his family. did not do this. She also says she heard no sound from the craft and she was unafraid, yet the daughter claims the opposite, that she was terrified and the craft made a noise so loud that she had to cover her ears. I think their wires were crossed on the story they had agreed upon, or that is the way it appeared to me. In all other stories I have come across that are connected to sightings of triangular craft, the witnesses state the objects emit no sound whatsoever. As a matter of fact, in all accounts of UFO sightings, they are all generally the same in that the crafts make no sound. This is the first I have found where the UFOs make loud noises. Furthermore, the family then claim that since the incident, they have had visits from alien creatures in their home. Again, why they fail to fess up to this the first time the team comes out, I just don’t get it! Anyway, the daughter that witnessed the craft with her mother gives a description of the alien entity she has seen in the house. Maybe she is just nervous or whatever, but she appears to smile and even laugh while relating this information to the team member…like all of this is just a big joke. Another daughter is then asked if she has experienced anything similar in the house. She also states she has and describes what she has seen. Her description is entirely different from the sister. She also appears to find it difficult to keep from smiling about the whole thing. This makes me think they are fake. This whole thing is just a staged hoax. I am unsure if the other episodes are better. I might give it one more try, but I have a feeling things will be the same or even worse. In closing, if you are going to put a fake show on, then at least do a good job of it.